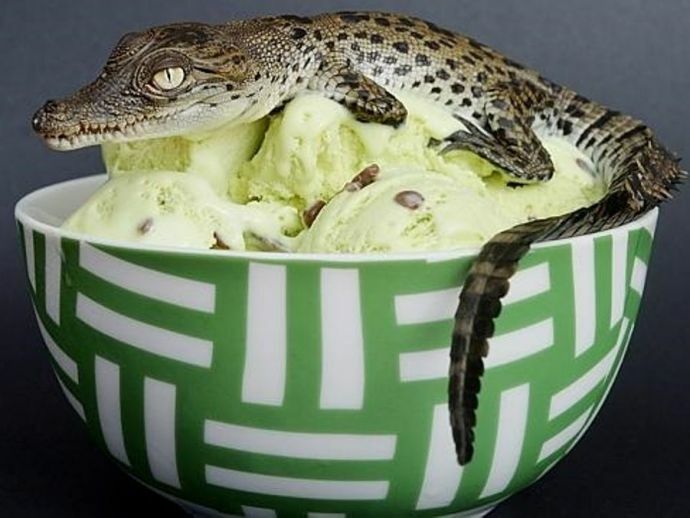 This quirky range of ice creams is just too hot to handle! It’s summer and it’s time for ‘I scream you scream, we all scream for ice cream’! Well, when it comes to our love for this cool and creamy dessert, the sky is the limit. 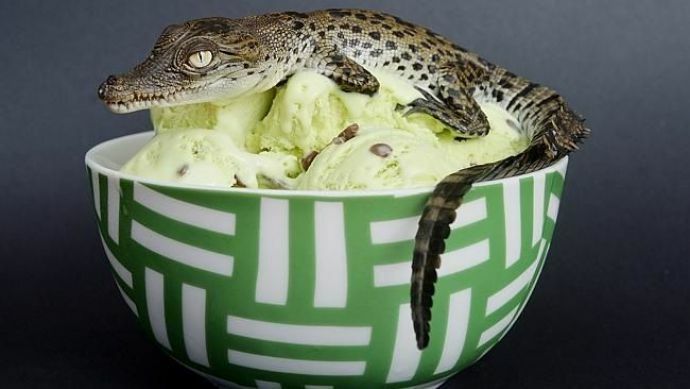 While we are very comfortable having our favorite ice cream flavors, today we ask you to forget your boring chocolate, vanilla, and strawberry and have a look at these unusual beauties. So, sit back and check out this list of unexpectedly ice cream flavors that will take your tastebuds on an adventure. Sounds delicious, right? Or we'll just leave it to your imagination. This sweet treat has been introduced in Davo City, Philippines. Believe it or not, this creamy stuff, which is made from crocodile eggs, is very popular. This flavored ice cream is just too perfect for someone who loves garlic. To bring out the natural sweetness of the garlic this ice cream recipe includes honey. The ice cream is actually served as a sauce alongside main dishes like meat steak. 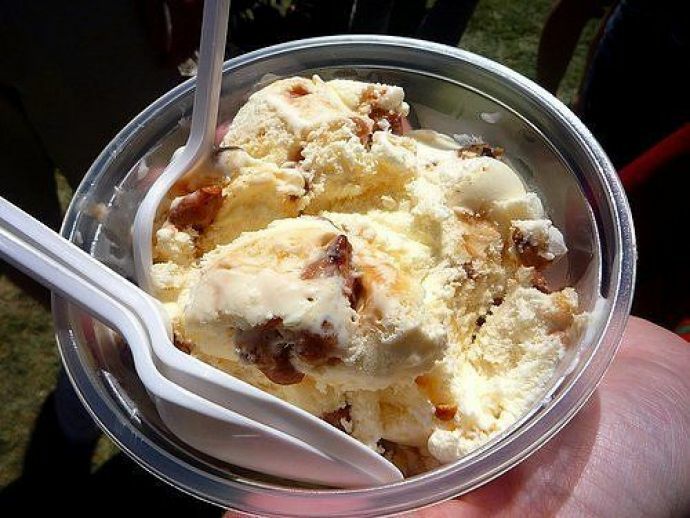 This ice cream has its own hall of fame, as it had been featured at many garlic festivals, including the Gilroy Garlic Festival in Gilroy, California. 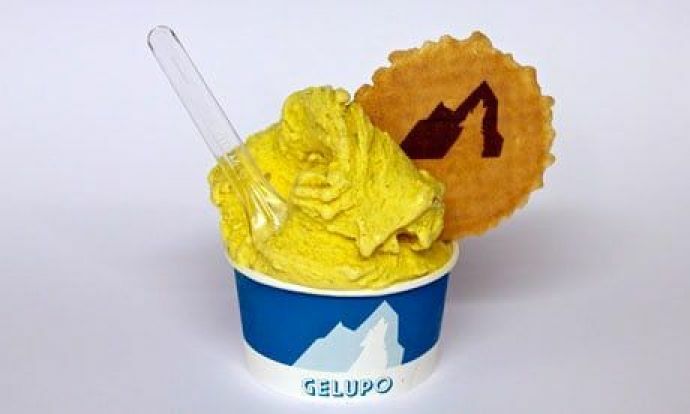 This bizarre frozen scoop of coronation chicken was invented at Gelupo, an Italian gelato emporium in London, by Chef Jacob Kenedy. This chicken-flavored ice cream was made especially for the Queen’s Diamond Jubilee celebrations. Certainly, the ice cream is not just unique, but also has a interesting story. If you love seafood then this ice cream will be the ideal summer treat for you. 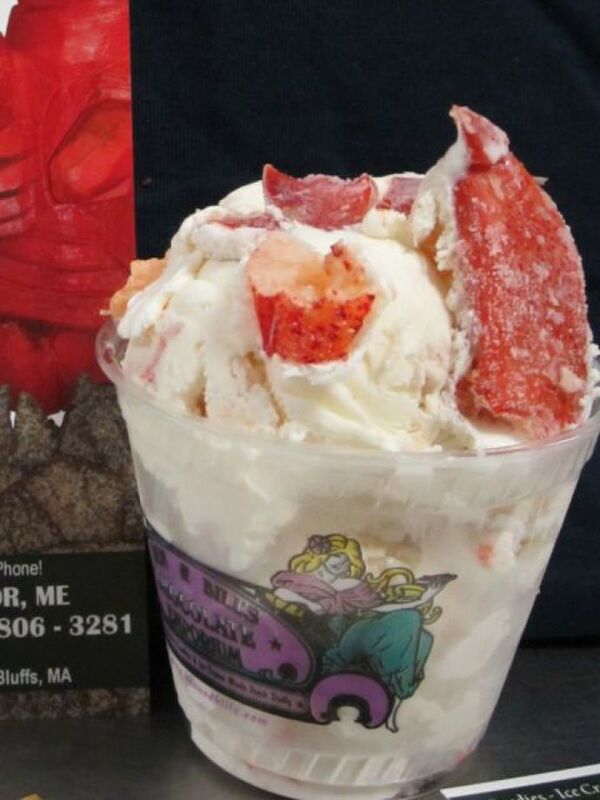 The ice cream has buttery lobsters folded into a rich and creamy vanilla ice cream. Ben & Bill’s Chocolate Emporium’s Jeff Young created this delightful ice cream in Bar Harbor, Maine. 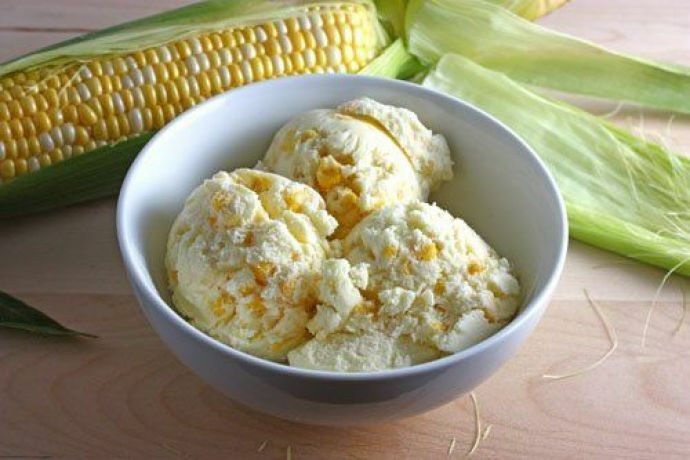 No matter how many different sweet corn dishes you've tried, but if you haven’t tried sweet corn ice cream then stop calling yourself a sweet corn lover.